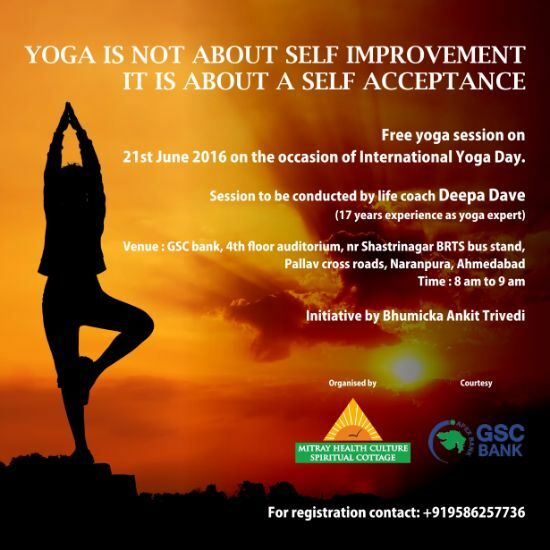 Free Yoga Session at GSC Bank on World Yoga Day. The session will be conducted by life coach Deepa Dave. Ms. Dave has 17 years of experience as a yoga expert. The session is organised by Mitray Health Culture and Spiritual Cottage, an initiative by Bhumicka Ankit Trivedi.